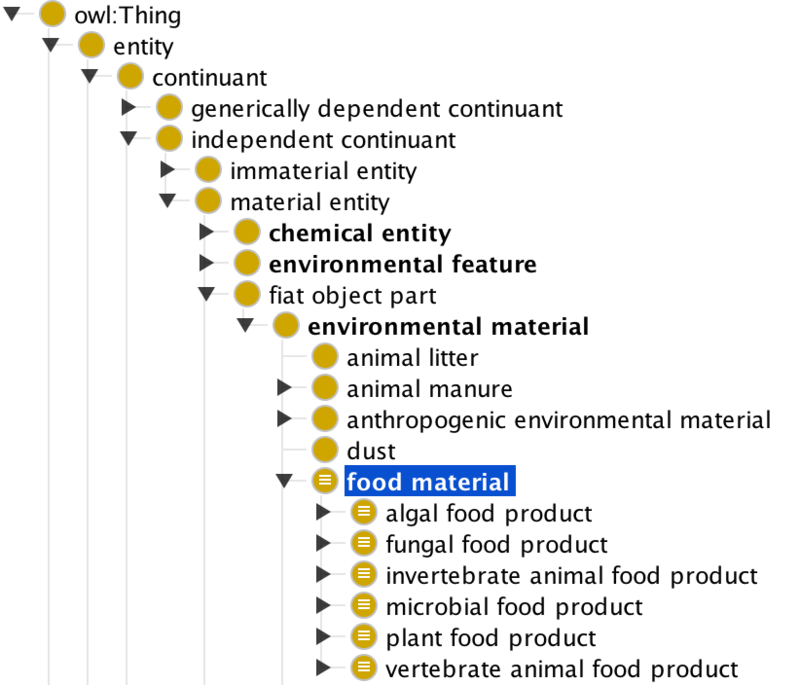 One will also see other key FoodOn classes (many of which began as LanguaL facets) under the material entity class. 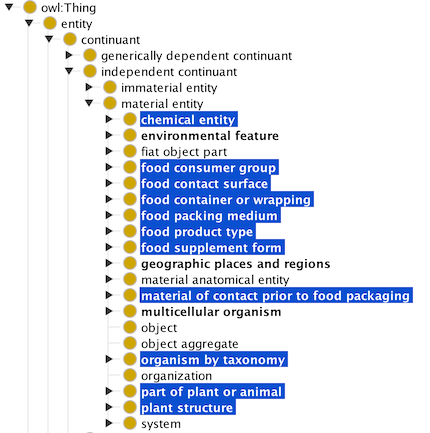 Food container/wrapping, packing medium, plant structure (from Plant Ontology), food consumer group, and constituent chemicals are all found here. 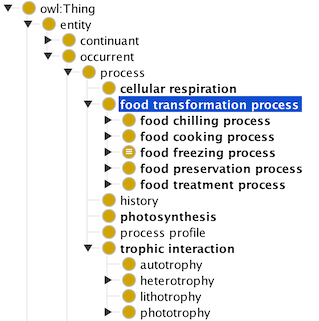 The “food transformation process” class is positioned under BFO “process“. Some FoodOn processes can be multi-purpose (for example, freezing can be for food preservation, or to produce an effect, like in ice cream) others are specific to preservation or other process objectives. 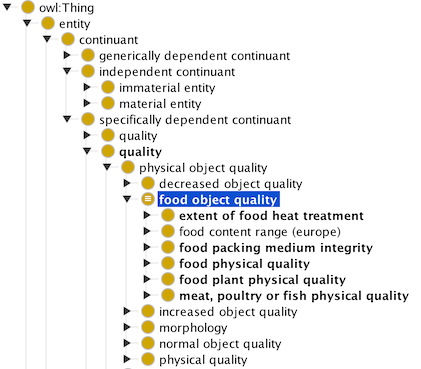 Observable qualities of food – the flesh texture of fish, or the colour of a fruit flesh or skin for example – are located under PATO quality (there is also a BFO “quality” class below; the two are not yet ontologically unified). 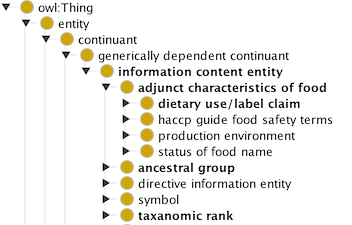 Some other information categories that are about food items are located under “information content entity“. Such information usually can’t be seen directly as qualities of a food item, but rather are legislative facts or manufacturer claims about the item.